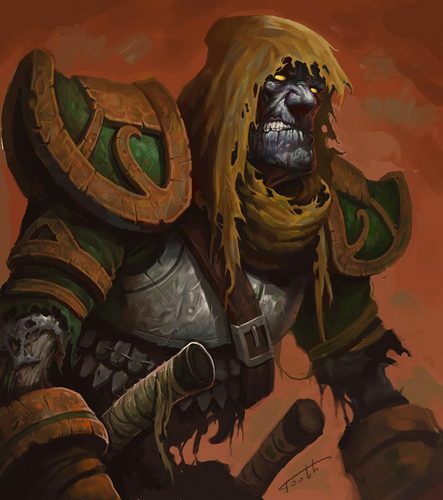 Traven was once a talented hunter and artificer; Until his older brother Lord Wolfran murdered him in a fit of a insane rage and later re-animated him. Traven is now an undead shell of his former self, albeit with his personality and skills largely intact. The unfortunate undead brother lost his memory in the process of being re-animated and did not remember who he was until Torion's group unlocked his memories when they took over Wolfran Island. Once the party had dealt with Wolfran and lifted the compulsion over Traven, the former hunter sailed Wolfran's elemental yacht with the party back to Sharn. After dropping them off he headed northeast to Karrnath. While here he learned of the Blood of Vol, and overtime became a ranking member of the clergy. He now overseas a boat belonging to the Bloodsails, pirates of the Lhazaar Principalities. Traven heard about the Situation on the island, and has come to Sharn to offer his aid to Torion and to rescue Deallin in order to repay his unlife debt. He has brought with him a Bloodsails ship, along with a shipload of Blood of Vol worshipping corsairs. He comes to Torion in secret, while keeping his ship anchored an hidden off-shore. After the situation on Isla Mogrova has been resolved, Traven may be able to negotiate safe passage in the Lhazaar Principalities for the party, but his involvement in that matter will be minimal at best.